It’s hard to be optimistic these days. A do nothing Congress. Millions of people are unemployed while corporate profits and CEO salaries skyrocket. Global warming, famine in Africa, earthquakes, tsunamis, never ending wars and an economic crisis in Europe. Shoot me now. Denver public relations pros are keenly aware that the more anxious and jittery people are, the less likely they are to invest in their companies or hire more employees. The economy sputters because we are worried and we are worried because the economy is sputtering. Everyone is standing on the sidelines. It’s a hard cycle to break. So if you are dying for a hopeful sign that things can improve, let me tell you about Will and Zak. They are recent Colorado College graduates who left this week on a four month Source to Sea kayak trip down the Colorado River. They are part of the Colorado College State of the Rockies Project student research team that is studying the impact of climate change and water usage in the seven-state Colorado River Basin. As Will says, “floating down the river is one of the most awe inspiring, raw, soul cleansing experiences imaginable.” But these guys are no fools. They are armed with an array of digital tools that will let them send back video and written blog updates as they document the state of the river from Wyoming down to Mexico. 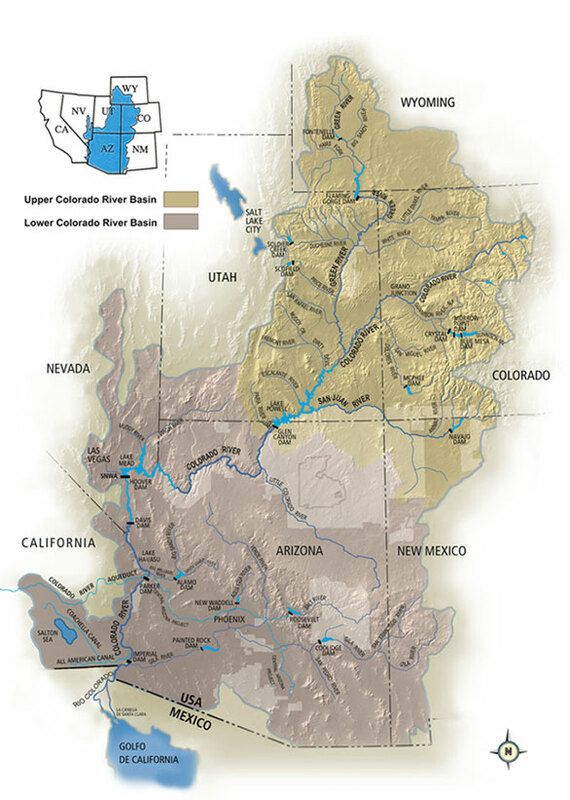 Did you know that there is so much regional demand for water that the Colorado River actually dries up before it reaches the sea in Mexico? Or that even though we already use every drop available, states continue to demand more supply and refuse to implement common sense conservation methods? According to University of Wyoming law professor Lawrence MacDonnell, who spoke this week at Colorado College, it would be smart to place legal limits on how much water new projects can allocate and decrease water use by the Lower Colorado River Basin. Talk about throwing cold water in your face. This scenario should be a wake up call to all of us. Luckily, Will and Zak and the State of the Rockies Project students are sounding the alarm. And that’s what gives me hope. I’m optimistic that they will inspire more young people to get involved. It may seem frivolous to spend four months floating down the river, but not to their generation. Their story and the way they choose to communicate it resonates clearly with people their age. They get the message. I’m optimistic that these students understand that life is about doing, leading and making a difference. It’s about communicating in a language that your audience understands. It’s about crafting messages and using technology to tell a story that motivates people to change their behaviors. It’s an important story and these are powerful storytellers.